This issue of The Engineering Newsletter illustrates our boundless drive. Reflecting on this academic year, we can take pride in our Faculty's accomplishments – demonstrated in so many ways. We have made strides in our international efforts, strengthened our student experience and recruitment activities, enhanced our focus on collaborative and multidisciplinary initiatives, reinforced our financial position, started to address challenges of infrastructure and space quality, and prepared for the upcoming Boundless campaign launch on September 15. We continue to conduct leading-edge research, and garner major research grants and awards for our numerous contributions. It has truly been a remarkable year of dedicated work from faculty, students, staff and alumni. Looking ahead, we will provide updates on the progress towards goals in our Academic Plan in the 2012 Annual Report and at our Faculty Council meetings. We are a Faculty with an unwavering commitment to educating global leaders who make a difference, and recently graduated 1,139 engineers who are certain to make their mark on the world. At the same time, the University honoured two alumni who have made their own mark: Dr. Pierre Rivard (MEng, MechE 9T4), an international trailblazer in sustainable energy technologies and Dr. Phillip (Rocky) Simmons (ChemE 6T4, MASc 6T5, PhD 6T9), a world-renowned expert in water treatment and chemical recovery systems. Thank you for your continued contributions to the Faculty. I wish you and your families a most enjoyable summer, and I look forward to another rewarding year in our pursuit of engineering excellence. 2011–2012 was another year filled with exciting activities, inspiring beginnings and countless innovations. 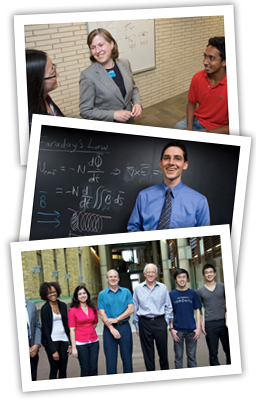 Have a look at our photo slideshow of U of T Engineering people and events throughout the year. Please also check out our Convocation 2012 photo slideshow and photo essay. This academic year, the release of our third Annual Report of Performance Indicators coincided with the completion of our Academic Plan for 2011-2016. These documents allow us to reflect on our progress, and continue our pursuit of engineering excellence. 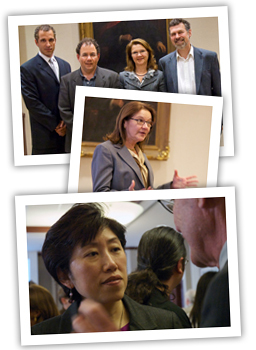 Following a comprehensive two-year consultation process, Faculty Council approved our Academic Plan on October 6, 2011. The Plan articulates our academic and administrative goals for the next five years, within the context of U of T's Towards 2030. While our goals are ambitious, they are also compelling and achievable, as action items were developed and strategically assigned to portfolios to ensure that we maintain a proactive approach. The Plan sets key priorities: Positioning; Culture of Excellence; Educating Future Engineers; Student Experience; Research Foci; Outreach, Collaboration and Influence; and, Resource Allocation. To ensure our goals are embedded in our everyday decision-making, we have been monitoring and sharing our progress through presentations and newsletter articles. Come fall, we will continue to report our progress at Faculty Council meetings and through the 2012 Annual Report. Through the Plan's articulated goals, we will work together to strengthen our culture of excellence, our influence, our educational and research mission. Last year, we unveiled video blogs to give new students a glimpse of first-year life. Building on that momentum, we released seven new videos that accompany the newly refreshed Welcome to Engineering publication, which highlight the unique opportunities and offerings that come from studying at U of T Engineering. In fall 2011, we were proud to welcome incoming students who were at the top of their class. Students entering first year had an unprecedented Ontario High School admission average of 90.9%, up from 89.2% in 2010. For the 2011-2012 admissions cycle, we considered students' essays and extracurricular activities, while implementing a scholarship strategy to attract top students. As of early June, the Ontario High School admission average of incoming students was an astonishing 92.2%. We also continue to be the first choice for many graduating high school students. We received 9,324 student applications this year, a 6.2% increase from the previous academic year, while international applicants increased by 10.2%. What's more, our selectivity rose to 36% while our conversion yield increased to 38%, with one out of 13 applicants earning a place in the Faculty. And, as noted in our Academic Plan, diversity – whether gender, academic or international – helps us achieve excellence. We remain well-positioned for next fall, as early June acceptance numbers show that nearly 26% of our incoming first-year students are female, compared to 23.4% in 2011. Early numbers also indicate that international students will make up 30.2% of the first-year student body, compared to 23.9% in the previous year. To recruit more women engineering students, we developed new recruitment strategies and created a weekend event, Girls Leadership in Engineering Experience (GLEE). On May 26-27, female students admitted to the Engineering program were given the opportunity to discover the U of T Engineering community, where women are at the forefront of engineering leadership, collaboration and innovation. For Pre-university outreach, we continue to garner success. Along with a suite of ongoing, hands-on outreach events led by undergraduate and graduate students, such as DEEP, Jr. DEEP, ENGage, Go ENG Girl and Girls' Science & Engineering Saturdays, the Engineering Outreach Office re-introduced RobotX in May. RobotX, an initiative that immerses high school students in a four-day robotics program, exposes them to engineering and mechatronics principles. For U of T Engineering, seeking ways to improve our student experience and education remains a key priority. One of the ways to do this is through direct student feedback. To that end, the Teaching Methods & Resources Committee is in the process of developing a new course evaluation system. This past March, we introduced a poster campaign, 'Your Feedback Matters,' to build student awareness around the importance of their feedback and the impact it has on shaping courses. 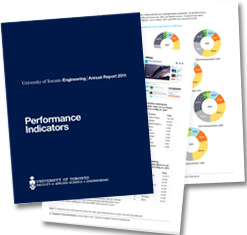 U of T Engineering is committed to increasing not only graduate student enrolment, but also to recruit the best and brightest to our graduate programs. Recent recruitment efforts include weekend and 'Day at U of T' events for research-stream applicants, as well as open houses, external graduate fairs and MEng recruitment events. We have made progress towards our goal of increasing graduate enrolment to 2,000 by 2015, and are currently at 1,842 graduate students, a remarkable 10.4% increase over the previous year. Our Faculty has also broadened its global scope through international entrepreneurial learning opportunities, including the new Peking-U of T capstone design course, structured exchange pathways, PEY international placements, summer research opportunities abroad, as well as teaching initiatives at IIT Bombay and Ethiopia. PEY international placements, in particular, has seen a 50% increase, with students placed at companies such as Deloitte China and at internships in Singapore and Mauritius. As well, the Centre for Global Engineering (CGEN), offered two new courses, one in Technology, Engineering and Global Development, and another in Appropriate Technology and Design for Global Development. This year also marks the 10th anniversary of a unique academic innovation: engineering leadership education. With Leaders of Tomorrow, and now ILead, we have graduated inspired engineering students who lead and innovate in their professions. We look forward to graduating more. Going forward, we are exploring a collaboration with the University of Toronto Mississauga (UTM), which will capitalize on the strength of our engineering program and UTM's breadth in management programming. This past fall, a task force — comprised of UTM and U of T Engineering faculty members — drafted a report that proposes a potential 10th engineering program at the undergraduate level that would revolve around management sciences. This inititiative will take some time to see through, however we are in the process of establishing a '2+3' program that will meet the needs of both campuses. We continue to pursue engineering education excellence through offering new minors, certificates and courses that attract the strongest students from across Canada and the world. We are constantly renewing our offerings, whether to enhance our students' global perspective or to strengthen their business acumen. The Engineering Business minor is one such unique initiative. Launched this past fall, it was met with overwhelming success, with course offerings becoming so popular that many were oversubscribed. This September, we also launched the Robotics and Mechatronics minor, as well as two certificates in Engineering Business and Global Engineering. Looking ahead to the next academic year, undergraduates will have the opportunity to pursue a Mineral Resources certificate, which will prepare students for the mineral resources sector. The Faculty was also proud to launch The Entrepreneurship Hatchery this spring, a new program that will instil a greater entrepreneurial spirit among U of T Engineering undergraduates. 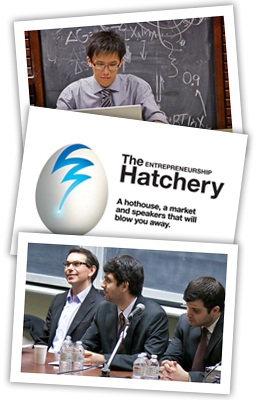 At the Hatchery, students develop their ideas and turn them into successful business models. The launch of The Entrepreneurship Hatchery builds upon several innovative business-oriented offerings, including the Engineering Business minor, the Entrepreneurship certificate, as well as the ongoing Engineering Entrepreneurship Series. In addition, the University of Toronto Institute for Multidisciplinary Design and Innovation (UT-IMDI) was launched in MIE. The Institute will foster a unique project-based learning environment, providing remarkable opportunities for students to work on design projects with industry. This past year, we focused on the preparation for the Canadian Engineering Accreditation Board (CEAB) review and visit in October 2012. Our goal is to achieve the maximum six-year accreditation for all nine engineering programs. We have also prepared for the new accreditation criterion of graduate attributes and have defined the set of competencies that every U of T Engineering student should attain upon graduation. In 2011, we implementated four new graduate certificates (Energy Studies, Healthcare Engineering, Computational Mechanics in Design, as well as Robotics and Mechatronics) and the approved a flex-time PhD program in MIE to launch next fall. Our ELITE certificate's roster of courses continues to grow, with four new courses taught by industry practitioners. What's more, following the approval of a major modification to the IBBME program, the new Clinical Engineering PhD option welcomed its first cohort of students in 2011. This year we also launched the Graduate Enterprise Internship program (GEIP), an initiative funded by FEDEV and based at U of T's Engineering Career Centre. This six-month internship is aimed at students in the Science, Technology, Engineering and Mathematics (STEM) programs who graduated within the last five years, along with graduating Master's students, PhD and Post Docs. And as part of our New York City partnership in the Center for Urban Science and Progress (CUSP) initiative, we are developing a cutting-edge professional Master of Engineering in Cities Engineering and Management (MEngCEM) program. Looking ahead, MEngCEM will seek to attract students from a variety of disciplines who are interested in the sustainable growth and development of large urban areas. U of T Engineering research contributions continue to flourish with major collaborative research initiatives and strengthened partnerships with industry. This past year, our research funding increased by 23% to an unprecedented $77.2 million. We established the Research Leader Award to recognize and reward leadership in major interdisciplinary research projects, industrial partnerships and multiple investigator initiatives. And, we launched initiatives on resilient infrastructures, clean water techonolgies, sustainable aviation and created the NSERC Network in Smart Applications on Virtual Infrastructure (SAVI). And as a globally minded, internationally connected Faculty, U of T Engineering continues to take students and faculty outside lab walls by adding to our array of partnerships with world-class institutions and industry. This fall, U of T Engineering partnered with the Engineering School at Universidad de Santiago de Chile (USACH) to develop activities that promote collaboration in graduate student education and research. The partnership is an excellent opportunity to pursue mutual academic interests as USACH seeks to fill a shortage of PhD-trained engineering faculty members and U of T Engineering seeks to globally recruit students into its PhD programs. On that front, we are also pleased to collaborate with the Istituto Universitario di Studi Superiori di Pavia in Italy on a doctoral cotutelle for Civil Engineering students. We are also fostering collaboration in rehabilitation engineer training through the NARETI collaboration. The initiative is one that partners U of T with universities across North America. This includes the University of Calgary, University of Guadalajara and University of Illinois at Chicago. Undergraduates interested in rehabilitation engineering spend a semester abroad at a host institution, while visiting students get hands-on, leading-edge experience at IBBME partner institutions, such as Holland Bloorview Kids Rehabilitation Hospital. Going forward, the Faculty will contribute its strength and expertise to a new global effort dedicated to urban engineering. Called the Center for Urban Science and Progress (CUSP), it is a partnership among U of T, New York University, Carnegie Mellon University, University of Warwick and Indian Institute of Technology Bombay, and will focus on research and developing technologies for the critical challenges facing the world's cities. Kamran Behdinan (MIE): named the NSERC Chair in Multidisciplinary Engineering Design. In his role, Professor Behdinan will establish real-world multidisciplinary senior design projects, tapping industrial collaboration and support. The projects will span all nine undergraduate U of T Engineering programs. Vaughn Betz (ECE): named NSERC/Altera Industrial Research Chair in Programmable Silicon. The five-year renewable chair provides support for Professor Betz's research on programmable computer chips, known as field-programmable gate arrays (FPGAs). Altera is one of the two leading FPGA companies with a major research and development centre located in downtown Toronto. Partha (Sam) Sampath (UTIAS): named NSERC Industrial Research Chair on Aviation Gas Turbine Combustions/Emissions Research and Design System Optimization, supported by aircraft engine manufacturer Pratt & Whitney Canada. 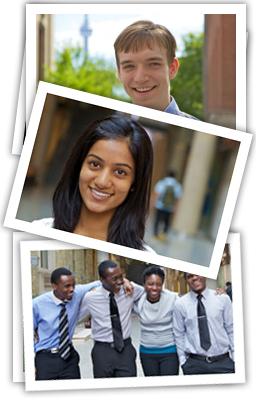 In the last year, we have continued our efforts to strengthen the sense of community within U of T Engineering. We have expanded the ways we communicate with that community – students, faculty, alumni and staff, alike – using traditional and exciting new communication tools and publications. In October and February, Dean Cristina Amon, faculty, staff and the Engineering Society participated in Town Hall meetings that once again gave students the chance to raise concerns and learn more about the future direction of the Faculty. To ensure a diverse and inclusive set of voices were heard, the Town Hall format was changed in February. 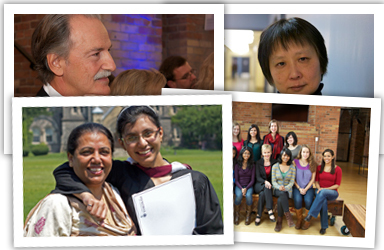 The Faculty aims to better engage our peers inside and outside U of T in order to learn from each other, share successes and form meaningful partnerships. We are doing this through greater consultation, enhanced storytelling using traditional and emerging technologies, increased communication and media training, and more. For example, we unveiled digital displays throughout our engineering buildings, which have become a successful way to improve student, faculty and staff communications. 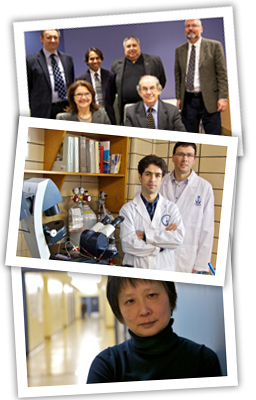 Our Faculty generates tremendous, innovative and relevant research. Those breakthroughs are often wrapped in great human stories of success. In the last year, we have authored an array of rich media stories and produced numerous high-quality and high-profile videos. From videos that delve into various research discoveries to event coverage of the Lassonde Mining Building renewal, our use of multimedia as an effective communication tool is increasing engagement and excitement. Compelling communication that delivers our messages to our key audiences is a responsibility we all share. This year, the Engineering Strategic Communications office hosted two media relations training workshops for faculty members. The focus was to provide our engineering community with an understanding of how media operate, the benefits of engaging media and how to develop and effectively deliver key messages. Once again, it has been a remarkable year of honours and awards. 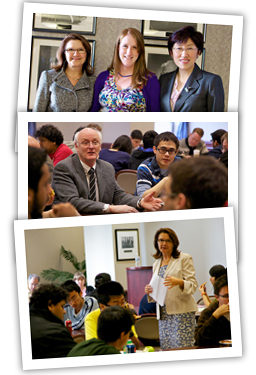 At the Faculty level, we were brought together in April to celebrate another year of engineering excellence. At the University level, our faculty members were recognized for their teaching excellence, research innovation and outstanding contributions to the University. What's more, we have had another excellent year with awards and recognitions nationally and internationally. This includes honours like the Clemson Award, the Joseph F. Keithley Award, John C. Polanyi Award, Robert W. Angus Medal, Engineers Canada Awards, Young Engineer Achievement Award and Early Researcher Awards (Ontario). It was also a year of many new Fellowships, from the American Society of Mechanical Engineers to the Engineering Institute of Canada. With the increasing need for more physical space, U of T Engineering is set to address that need in a big way. Though in the early planning stages, the Faculty will construct a new building on the current site of Simcoe Hall's parking lot – one of the last remaining spaces available on campus for construction. On February 29, the 'Site 10' project was given the initial green light by U of T's Planning & Budget Committee of Governing Council. The building will be an essential element of the Faculty's upcoming Boundless philanthropic campaign, with the aim of raising approximately $80 million. 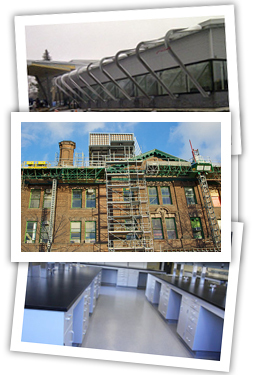 And in November, the U of T community celebrated the opening of the renovated Lassonde Mining Building. The transformation of the building, which first opened in 1904, converted the previously unused attic into new collaborative student design studios and teaching spaces and added a rooftop meeting room. To ensure that we are efficiently using space, we undertook three space audits: student club and study space (which was completed in the fall), meeting rooms (in progress) and undergraduate labs (which is now in planning stages). Some of the recommendations that came out of the student club and study space audit include creating a central room-booking system to identify when classrooms, labs and meeting rooms are not in use, as well as setting up a bookable multi-purpose room to fill the demand for club meetings and presentations. The work invested during the past three years in cultivating donors began to yield fruit this year. We are pleased to share that the Faculty has tripled funds raised through philanthropy to $15.8 million, building momentum for the launch of U of T Engineering's Boundless campaign on September 15, 2012. The launch event will begin at Convocation Hall and will celebrate engineering innovation, highlighting the Faculty's extraordinary research and teaching. We continue to promote philanthropy among our students, who have responded generously through programs such as Graditude. This year's campaign has seen a jump in donations, with 30% of graduating students donating in 2012, compared to 16% in 2011. The success of our funding initiatives helps to position us, as our students move on to become our newest alumni. This past winter, alumni joined Dean Cristina Amon and department Chairs Farid Najm (ECE) and Mark Kortschot (EngSci) in San Francisco and Mountain View, as the Faculty launched a new Engineering Alumni Association (EAA) Chapter in the San Francisco Bay area. We are now on the way to launching another new chapter in Asia. This fall, 11 alumni from the Faculty were honoured by the University of Toronto with Arbor Awards. The awards, which recognize outstanding voluntary service to U of T, were presented at an event hosted at the official residence of University President David Naylor. The U of T Engineering community gathered at Hart House to celebrate the annual Engineering Alumni Awards (EAA) Ceremony on November 2. More than 200 alumni, friends and family congratulated recipients on their achievements, making it the largest turnout in the Faculty's history. In January, U of T Engineering alumni Jeffrey Skoll (ElecE 8T7) and Thomas Jenkins (MASc ElecE 8T5) were appointed Officers of the Order of Canada. In May, U of T Engineering alumna Anne Sado (IndE 7T7) was among seven recipients honoured with the 2012 YWCA Toronto Women of Distinction Awards. And from May 31-June 2, we were proud to honour alumni who graduated in years ending in T7 and T2 at our Spring Reunion 2012. In October, more than 100 enthusiastic Skule™ graduates in Singapore, Hong Kong and Beijing welcomed Dean Amon. The trip gave the Dean the opportunity to continue to strengthen the Faculty's relationships with alumni in Asia, and to help broaden opportunities for our Professional Experience Year (PEY) students. It was also another successful year for Biz Skule™, which we expanded from three events last year to five in 2011-2012. Among our offerings was a Biz Skule™ Mining Sector panel discussion, featuring graduates who provided an in-depth perspective on the Canadian mining industry, as well as Canada's role as a global mining powerhouse. Skule™ Nite has become a much-beloved U of T Engineering tradition, and one of the biggest annual events on campus. This year marked the 91st anniversary of the student-run musical revue and comedy sketch show, which was once again a huge success. This year, Professor Jonathan Rose (ECE) completed his term as Faculty Council Speaker. Next Fall, we welcome Professor Tony Sinclair (MIE) as speaker. For more information on these governance items, please visit the Faculty Council page. Learn more about our new faculty by viewing their video profiles. The Engineering Newsletter will be on hiatus through the summer. 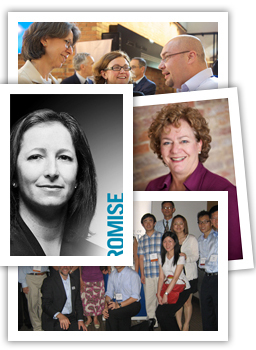 Look for the launch of Volume 6 in September 2012, when we will once again bring you key U of T Engineering stories for the 2012-2013 academic year.